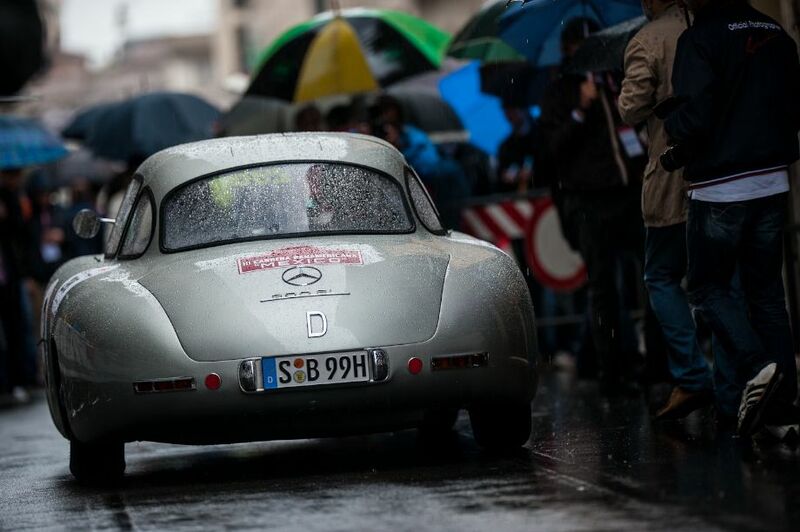 The Mille Miglia 2013 was held 16-19 May on the scenic roads of Italy. 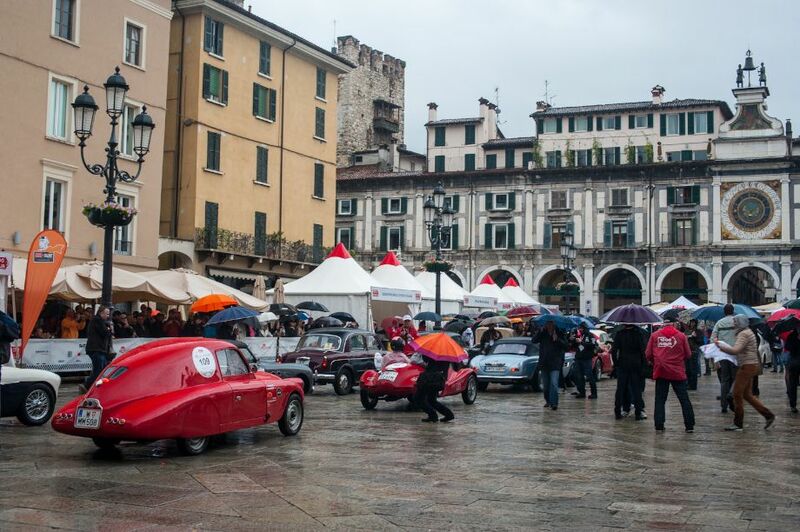 This year’s route traveled clockwise from Brescia to Rome and back, on the fabled Mille Miglia roads to cross through Vincenza, Ferrara, San Marino, Roma, Firenze, Siena, Maranello, among others. 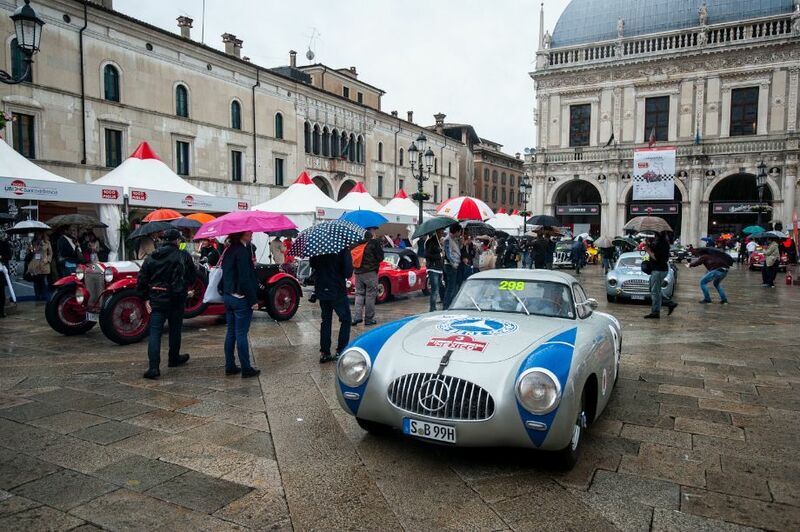 Of the 415 crews that embarked on the 31st running of the retrospective Mille Miglia, 340 successfully returned to Viale Venezia in Brescia and the remaining 75 cars either withdrew from the race or dropped out. 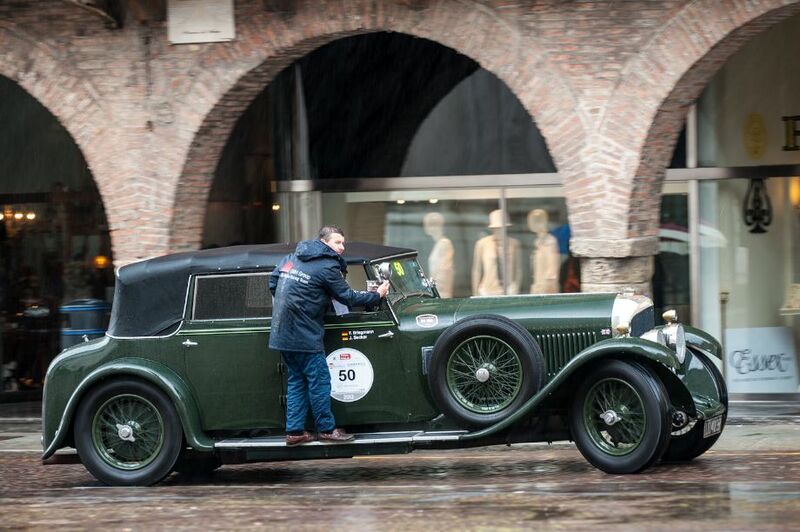 In the end, the Argentinian crew of Juan Tonconogy and Guillermo Berisso won the 2013 edition of the Mille Miglia in their 1927 Bugatti Type 40 with points totaling 35,417. 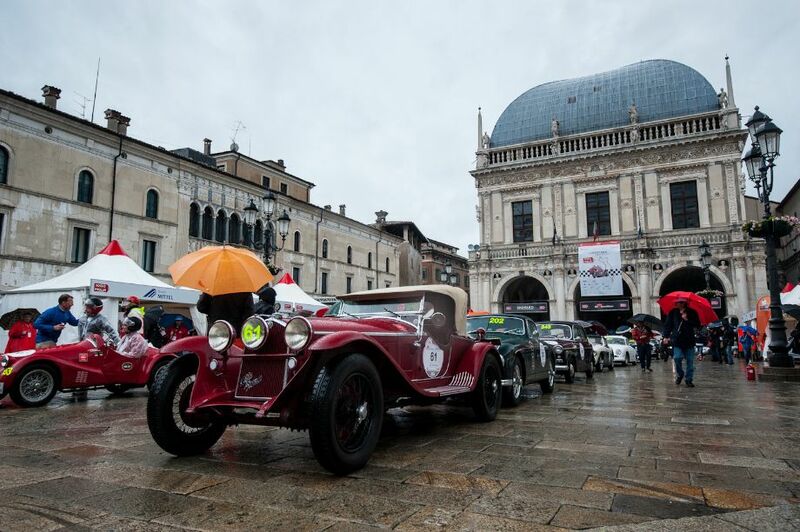 Giordano Mozzi and Mark Gessler came in second in their 1933 Alfa Romeo 6C 1750 Gran Sport, only 576 points behind. 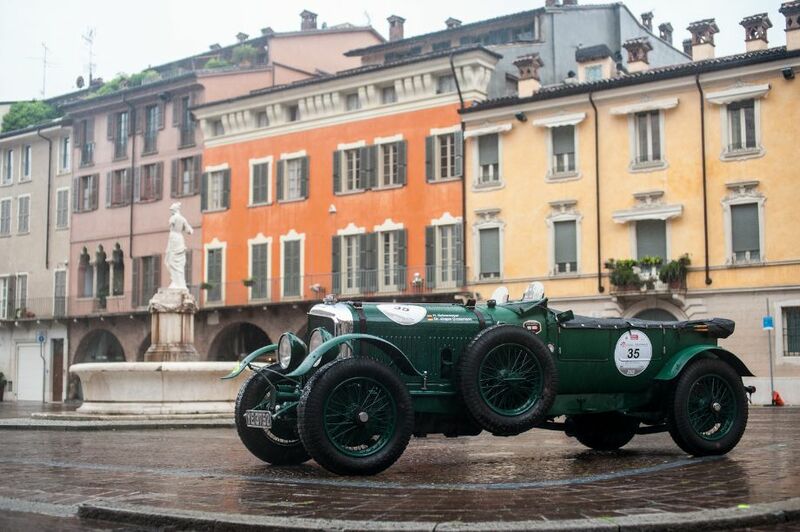 Giovanni Moceri and Tiberio Cavalleri came in third in their 1933 Aston Martin Le Mans, the same finish as last year. 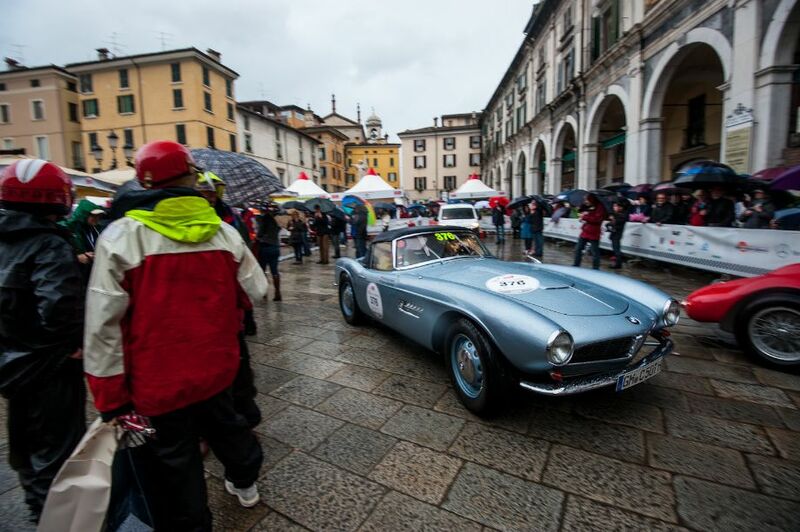 Photographer Julien Mahiels documented the 2013 Mille Migla Rally, offering the following exceptional picture gallery that shows the strong and varied field of entrants, in addition to the dazzling scenery found on the Italian countryside and cities. We split up the 150 pictures that Julien captured into two galleries. The first gallery starting below features our favorite 80 images, all displayed in the full-width view of our website. The second gallery (and rally results), meanwhile, can be found on the last page of the article and gives a comprehensive view of all the photographs. To see more from Julien, visit julienmahiels.net. We missed attending this year’s event and this is without doubt the second best thing to being there in person. Stirring images that really rattle the soul. Well done to all. What glorious photos! He captures the mood of the rain and the cool air, and the beautiful Italian redolence of history. The cars and people do not overwhelm the image, they are just perfectly framed! Kudos, kudos, kudos! I had the memorable opportunity to participate (Drive) in the 1993 MM in a 1929 Lancia Lambda Boat-Tail Speedster, special body, Number 9…and it finished!. Memories that last forever! 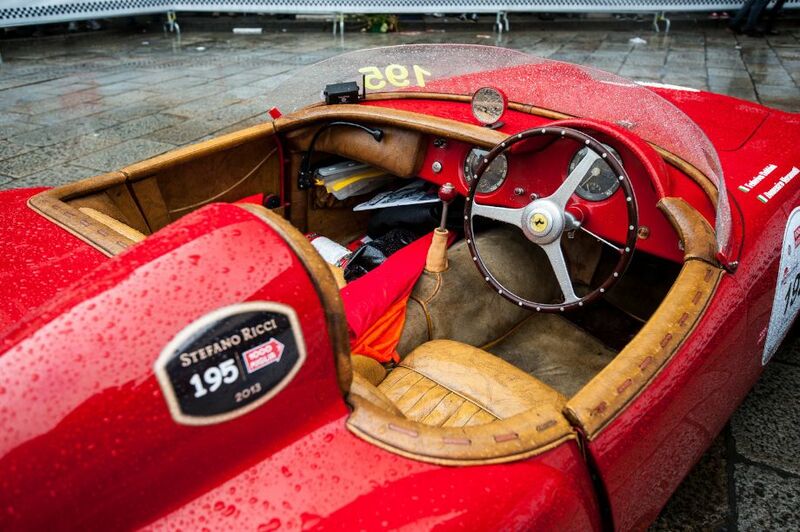 Thank you Julien for the great photos of this years event, rain and all. Great images, made me feel the excitement of those very exciting moments. Wow, the photos by Julien Mahiels are amazing. They are much better than those of master Dirk De Jager, much better!… Thanks SCD for the coverage!